As we move into the final months of an extraordinarily dry Cape summer, water restrictions remain top of mind for avid gardeners. Maintaining a garden with a limited water supply is an enormous challenge, yet it’s refreshing to see just how innovative gardeners can be when they’re put to the test. Clever water-saving and retention methods and a shift in focus towards hardier, drought-resistant plant varieties make it possible to maintain your garden’s touch of green. Need more advice on how to do it? Pop into one of our branches and our staff will gladly share their knowledge. Sow these veggies: cabbage, cauliflower, carrots, onions, lettuce, spinach, turnips and beetroot. Plant woody stemmed, water-wise herbs such as sage, oregano, rosemary and thyme. Sow these winter-flowering annuals: marigold, chrysanthemum, larkspur, bokbaaivygie, lupin, stocks, nemesia, Iceland poppy, viola and pansy. Organic mulch, which comes from plant or animal sources, is considered the best because it conserves water and provides the soil with nutrients as it slowly breaks down. Examples include compost, pine needles, grass clippings, bark chips, straw, peat and leaves. Inorganic mulch doesn’t break down, but acts as a physical barrier that helps keep moisture in the soil. Examples include stones and gravel. Feed deciduous fruit trees like apple, apricot, cherry, nectarine, peach, pear, plum and quince with 2kg of 2:3:2 each. Feed lilies with a tablespoon of 3:1:5 dissolved in 5 litres of water. Mulch well. Treat yellowing of the leaves of azaleas and camellias with iron chelate and feed each bush with a tablespoon of Epsom salts. Keep well mulched. Feed roses with 8:1:5 and mulch. Prune summer-flowering plants like pelargoniums, lavender, abelia, weigela, hydrangeas, heliotrope and salvia. Cut back petunias to encourage new growth in late autumn. Divide and replant easy-to-grow groundcovers and perennials like agapanthus, wild iris, red-hot pokers, hen-and-chickens, daylilies, alstroemerias, asters and watsonia. Succulents are the perfect plants for novice (or forgetful!) gardeners, as well as gardening aficionados. The common name of the Gonialoe variegata succulent (kanniedood, which is Afrikaans for ‘cannot die’) is a telling indicator of the hardiness of many of these plants. Importantly, they require very little water, which makes them a great choice for both indoor and outdoor spaces, especially during times of drought. While there’s a vast abundance of succulents, some species are easier to care for and more versatile in homes and gardens, among them the echeveria, jade plant (Crassula ovata), pig’s ears (Cotyldedon orbiculata), aloe and sedum (or stonecrop). Succulents also make for wonderful presents. With Valentine’s Day looming, what better way to treat your favourite person than with an everlasting gift that grows? Beetroot is one of those wonderful vegetables that grows easily, looks attractive and has a long list of health benefits. Depending on variety, beetroot is fairly drought-tolerant and grows best in partial or full sun. If you’re finding they need more water in the initial stages, use your shower bucket of water to keep them going. Once harvested, beetroots can be eaten fresh, cooked or baked, or pickled and enjoyed months later. They are packed with vitamins A, B and C, among other minerals, as well as powerful antioxidants. And don’t forget the greens! Beetroot leaves are perfectly edible, and can be used as a lettuce substitute or cooked up like you would spinach. Oregano’s pungent, zesty flavour is the star player in many Italian, Greek and Mexican dishes. 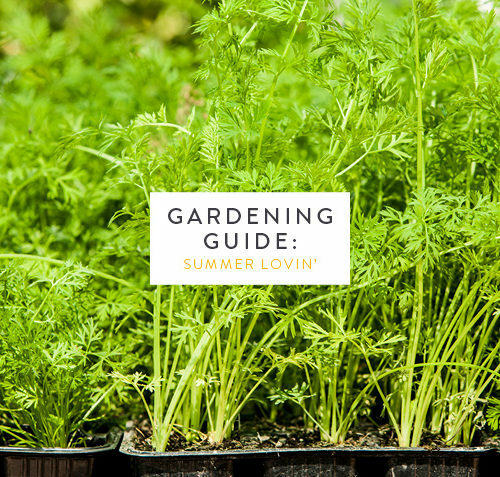 It’s a hardy herb that loves the sun and well-draining soil, and makes for good ground cover if pinched and trimmed regularly.